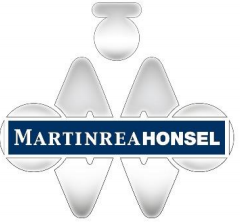 Martinrea International Inc. is a leader in the development and production of quality metal parts, assemblies and modules, fluid management systems, and complex aluminum products focused primarily on the automotive sector. We employ approximately 15,000 skilled and motivated people at more than 44 manufacturing, engineering and technical centers in Canada, the United States, Mexico, Brazil, Germany, Slovakia, Spain and China. Our business strategy leverages world-class technologies, motivated and talented people, and high-quality products. We aim to be the best automotive parts supplier in the world in the products and services we provide. Creating and maintaining design files (2D and 3D) based on internal and external customer requirements including kinematics, packaging and clearance files. Developing basic to intermediate level design proposals based on direction from product design engineering and/or engineering analysis. Recommending alternative design scenarios to meet or exceed customer requirements. Interfacing with Project Engineering, Manufacturing Division and Customer to meet requirements for assigned project. Interfacing with Manufacturing Division to ensure that all DFM&A requirements are met. Preparing and maintaining up-to-date engineering records according to APQP and QMS Requirements. Bachelor of Science in Engineering or equivalent. 5 years of related experience or equivalent. Formal training in specified CAD system (CATIA V5 proficient, Unigraphics a plus). Good understanding of metal, plastic & rubber commodity tubing and specifically, their design requirements in brake and fuel line system applications. Mother tongue or equivalent German. English language fluent, additional language is a plus. Good organizational, interpersonal and problem solving skills.